Will be book 3 Classcal, semi-classical and folk music from Asia. 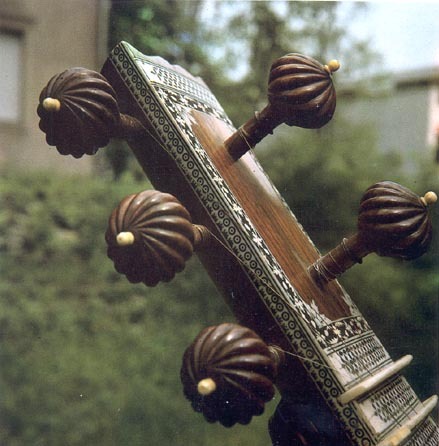 North Indian Classical Music ("Hindustani Music") is "The Hero From Across the Sea"! "Ravi Shankar came to America and Europe in the 1960s and woke up some musicians of the time, including myself, introducing us to one of the world's greatest and most important music traditions. He taught George Harrison, who introduced it in pop music, he taught John Coltrane who introduced it in jazz, and he taught Philip Glass who began a new movement in classical music. However, it is not just this one tradition that has changed my life, but also the other ancient Asian music traditions. Thanks to the wonders of You Tube and Wikipedia, I pass on to those who are ready to nourish the true treasures of thes cultures, the results of my 46 years of listening, study, and enjoyment. The heros from across the sea."